LAGOS, Nigeria, Nov 2 2015 (IPS) - Sometimes the best solutions can appear to be so simple that it’s hard to imagine why they weren’t invented centuries ago. Take the so-called PICS bags, big plastic storage sacks made of triple-lined plastic that can hold up to 90 kilograms of cowpeas or other farm produce. They cut agricultural waste and boost the incomes of rural smallholders, and go for around 2 dollars apiece. Much of the credit for this recent innovation is due to Larry Murdock, the Purdue University (US) professor who invented the first Purdue Improved Cowpea Storage bags – the “C “in the acronym now stands for “Crop” as the latest generation are designed for other farm outputs. But PICS also remind us that implementing the best ideas requires more than a touch of genius, but also a fair amount of tenacity and legwork on the ground and in the fields. The International Institute of Tropical Agriculture (IITA) is working on that, and has conducted more than 1,500 demonstrations of the product in more than 25 states across Nigeria. The IITA is “the main source of information” for what is not such a simple product after all, said Tahirou Abdoulaye, a Niger-born economist who is IITA’s project coordinator and, fittingly, earned his doctoral degree at Purdue. The case for the PICS bag is compelling. By hermetically sealing dried produce, they keep the insect threat at bay. That in turn revolutionizes the potential value of the food that farmers grow, as they face lower risks of losses from voracious weevils who can easily destroy half a crop in less than two months when traditional storage methods are used. With their crop better protected, smallholders can assure they have enough to eat at home and can actually command higher prices for what they take to market because they are no longer forced to sell into seasonal gluts out of fear that their goods would spoil. 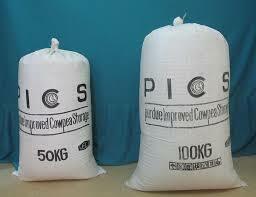 An early analysis found that cowpea farmers raised their income by almost 50 per cent by using the bags. IITA has been promoting PICS, helped by a host of partners and the Gates Foundation, for seven years now. One of the issues for PICS bags is that they need to be manufactured locally. That is being organized in a slew of African countries, most recently Rwanda. In Nigeria, the company Lela Agro has churned out more than a million PICS bags. But even once that process has been licensed and authorized and built, the supply chain still needs a distribution network. Use of PICS bags jumps when there is a local dealer, Abdoulaye said. He can be surreally precise: In Nigeria, if there is a dealer within seven kilometres, farmers use the bags. That means a lot of recruiting. IITA holds workshops to train vendors about the technology, builds capacity among existing networks of extension agents, leverages media publicity and holds scores of direct demonstrations at the farmer level. These, too, require time. Typically, one of Abdoulaye’s staff will go back to a volunteer after two months and arrange for the farmer’s produce to be opened after two months. At that point he has clinched the sale, so to speak. Losses of cowpeas – also known as blackeyed peas and a product of which Abdoulaye’s home country is the world’s second-largest exporter – are negligible, whereas they were typically above 20 per cent using traditional granaries or simpler polythene sacks. There are extra benefits, as well. For example, farmers can use pesticides, both during the growing season and in treating their harvest upon drying. The price of such chemicals can easily run to 10 dollars a tonne, which amounts to half the price of a PICS bag that will typically last two or three growing seasons. Abdoulaye is shepherding IITA’s efforts across West Africa. PICS bags are gradually spreading around the entire continent, and their deployment is being fined tuned for more crops, ranging from peanuts, sorghum, bambara groundnuts, cassava chips and corn. The IITA is a non-profit research organization that for almost 50 years has focused on hunger, malnutrition and poverty. The PICS project is an example of how all three can be tackled in an integrated way. First, food loss rates – the bane of sub-Saharan Africa – are reduced. Second, cowpeas and similar crops – around half the region’s dry beans are grown for sale – are high-protein foods, greatly boosting affordable nutritional prospects. Lastly, secure storage methods allow small farmers to choose their time of sale of surplus produce, thereby enabling them to wait for the optimal market price. That last factor can have dramatic impact in times of drought, and in ordinary times raises farmer revenue by 10 to 15 per cent, according to Corinne Alexander, an agricultural economist at Purdue. Many African markets also offer a quality premium for beans that have no holes and have not been discolored by other anti-pest treatments. Another potential benefit is that the bags may help combat aflatoxin, a sneaky fungus that can rip into harvests and eventually weaken human immune systems. Intensive empirical studies have recently shown strong evidence that the air-tight bags impede mold growth and aflatoxin accumulation for corn in the storage phase. Meanwhile, IITA is also rolling out AlfaSafe, a biological control product that basically crowds out the harmful Aspergillus molds that produce aflatoxins, and has set up a low-cost factory in Nigeria to make it. Perhaps more importantly, technology adoption such as using the bags entails a lot of collateral learning, which IITA is designed to provide. By knowing more about their problems, rural smallholders will doubtless develop better ways to combat them. Yes indeed the4 small holder farmer loses a lot to post harvest storage. That is a fact. But the plastic bags at a tag price of $2 a piece is a wee-bit high for the small farmer. I said this with all humility because I have used the bags but there are many who even though they wanted the bags simply couldn’t afford the price. Mat be the government may have to chip=in to subsidis the bags at least until the bags are fully accepted and used an a large scale by the populace.